Book of the Week Book of the Week: A Pick by Carolyn Drake This week's Book of the Week pick comes from photographer Carolyn Drake who selected Cut Shaving by Jaap Scheeren. Cut Shaving by Jaap Scheeren. This week's Book of the Week comes from photographer Carolyn Drake who has selected Cut Shaving by Jaap Scheeren. Cut Shaving was also picked as a Best Book of 2013 by Chiara Capodici & Fiorenza Pinna of 3/3. "It can be hard to avoid feeling trapped by familiar visual tropes when undertaking a new body of work. Over the last few months, I have often turned to Jaap Scheeren's book Cut Shaving to ponder the range of possibilities that photography can offer. The book reminds me that it is not photography that places limits on the meanings of things, but the pathways in our brains." "On the cover of the book is a picture of a ragged but colorful parrot with a feather in its beak. 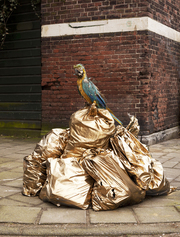 The bird is perched on a pile of golden trash bags. Under that, the title Cut Shaving. I think it’s a self portrait, but the symbolism is twisted enough that its impossible to know for sure." Cut Shaving by Jaap Scheeren. FW: Books, 2013. "Scheeren's work may resist interpretation, but it doesn’t resist accessibility. The first image inside the book shows a stark white cabinet that looks like its about to burst open from the pressure of the colorful balloons inside. The next image shows the artist struggling awkwardly to keep the balloons inside the cabinet, whose doors are now wide open. An apt metaphor for his imagination, which leaps out of the book, seemingly uncensored, from one series to the next, with humor, surprise, and grittiness. (If the balloon symbolism seems more clear here, that’s fine. Scheeren’s world doesn’t dodge contradictions.)" Only the xerox edition of Cut Shaving, which retails for $45, is available from photo-eye and can be ordered here. The special editions (including the €100 edition that comes mailed without packaging, as described by Drake) is only available directly from Scheeren. Copies can be purchased here. Carolyn Drake is a photographer based in Mississippi, USA. 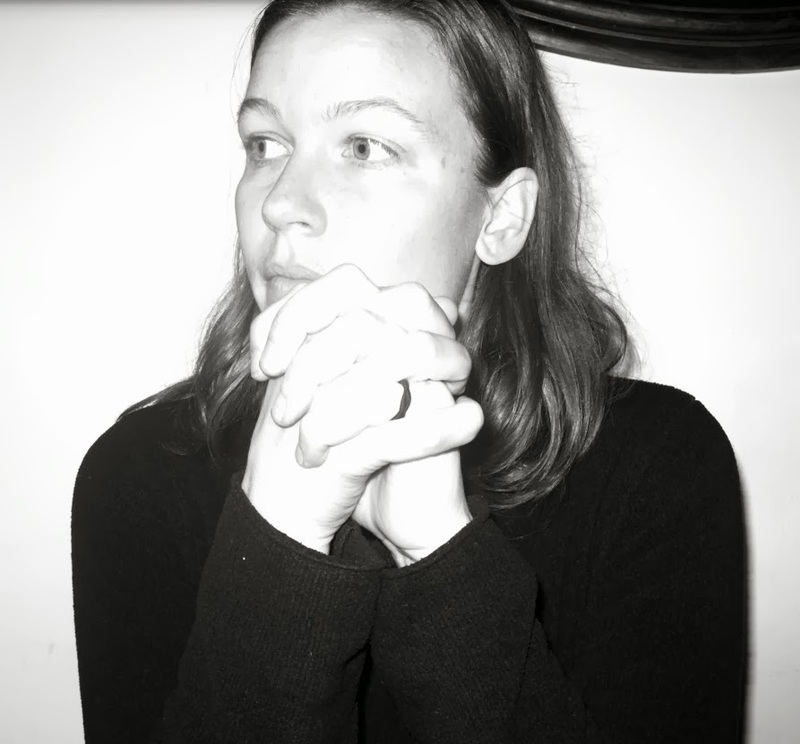 Her first book, Two Rivers, was self-published in 2013.